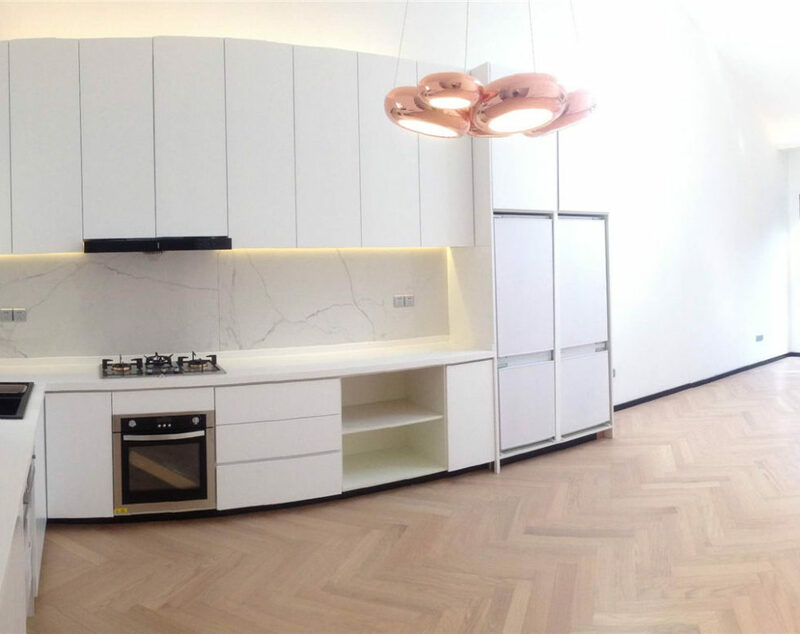 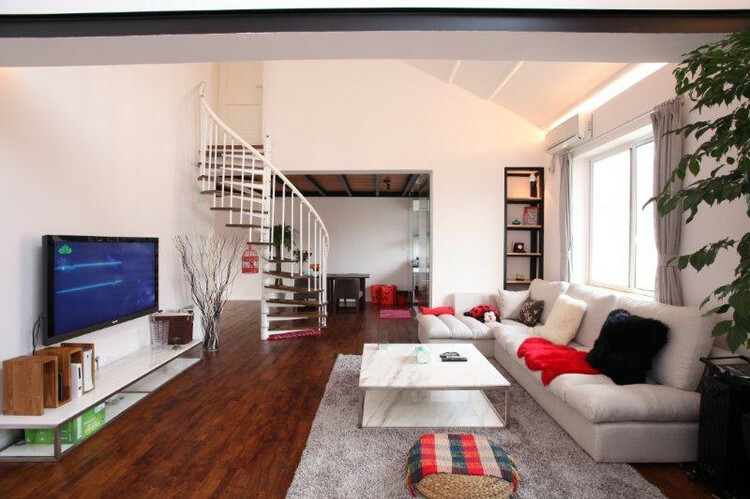 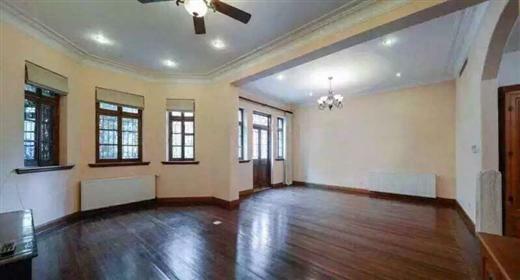 This old apartment for rent in shanghai French Concession is on Xin Hua Road. 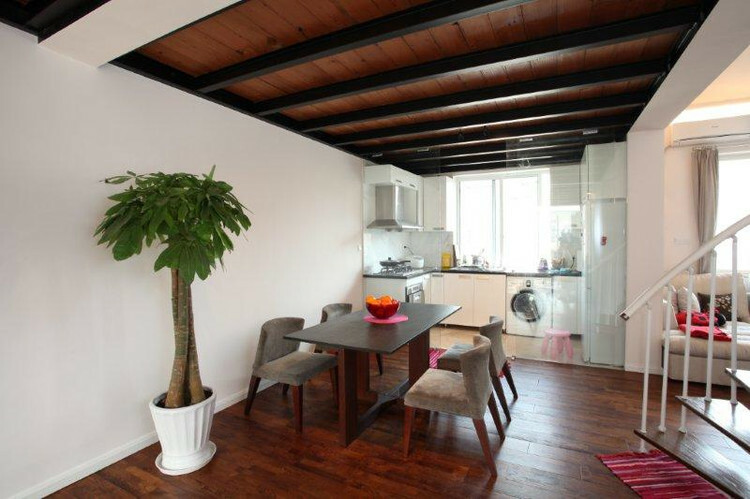 It is a duplex with one bedroom on the one floor and another bedroom with a bathroom and a terrace on upper floor of the apartment. 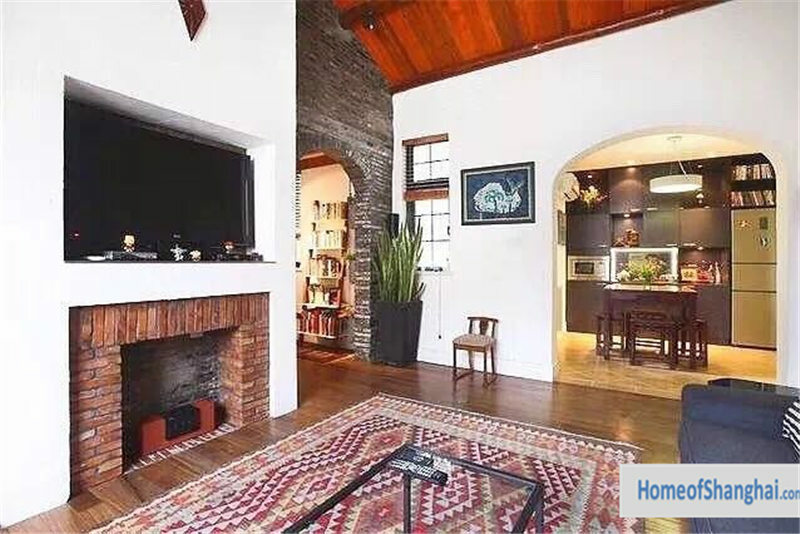 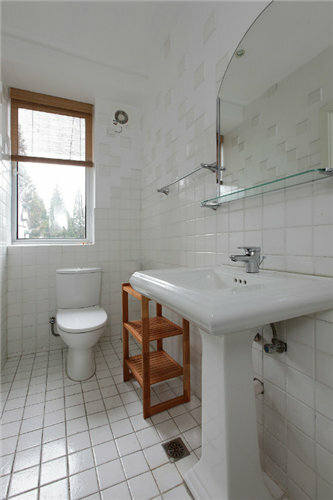 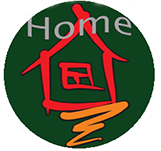 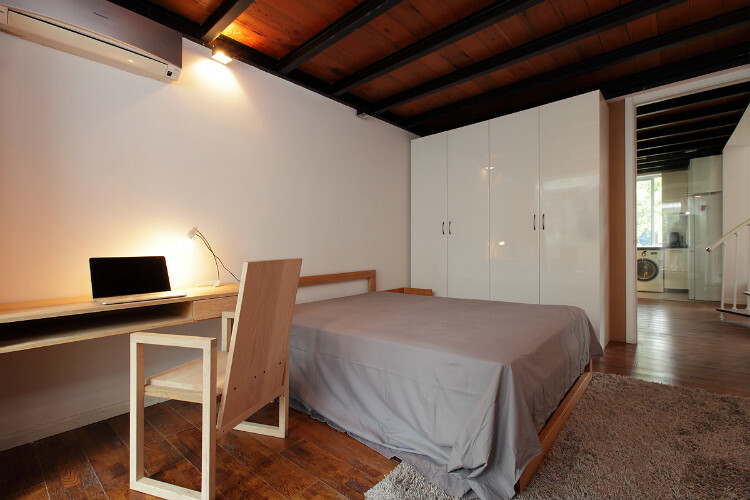 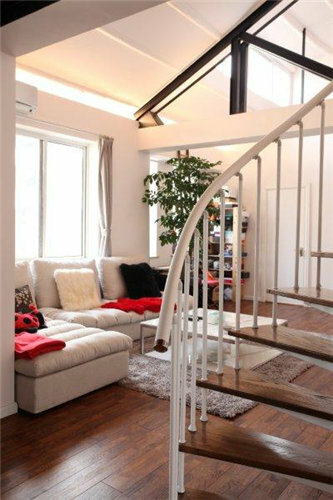 We know that terrace are attractive for expats who love the lane houses or old apartment of shanghai. 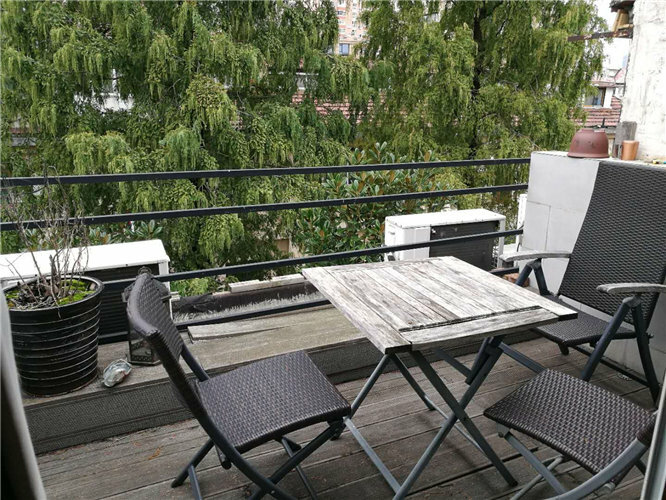 This terrace is also an shining point of the flat not only because of the size but also because of the green view. 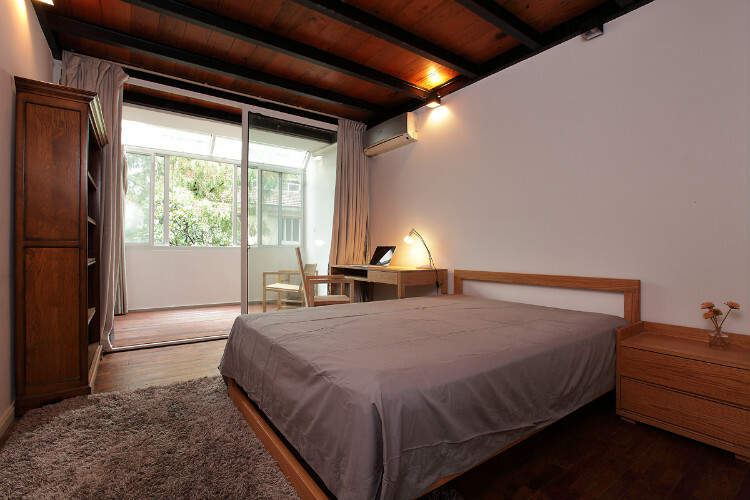 What are the disadvantages of lane houses or old apartments in Shanghai?